Mountain foxgloves (Ourisia macrophylla) are common herbs of damp alpine and subalpine sites. They consist of tufts of thick oval leaves. 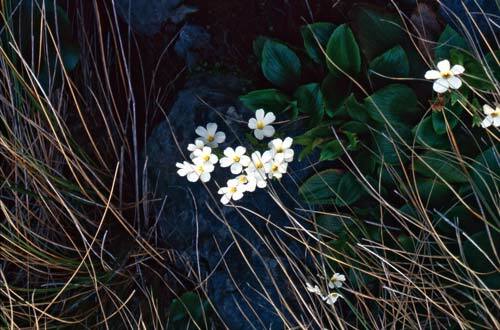 Their 60-centimetre-tall flowering stalks bear whorls of white flowers with yellow throats.